any chow parents in Boulder County, Co? 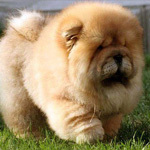 Re: chow chow parents in Boulder, CO? We are new chow chow owners in Estes Park.. our chow is Cabela, he is 8 weeks old. are there any chow chow gatherings around the area anytime soon?